The support of the metabolism of joints in the case of osteoarthritis in adult cats AND chronic kidney disease (all IRIS stages). Urate urolithiasis and cystine urolithiasis. • With Enhanced Appetite Trigger (E.A.T. 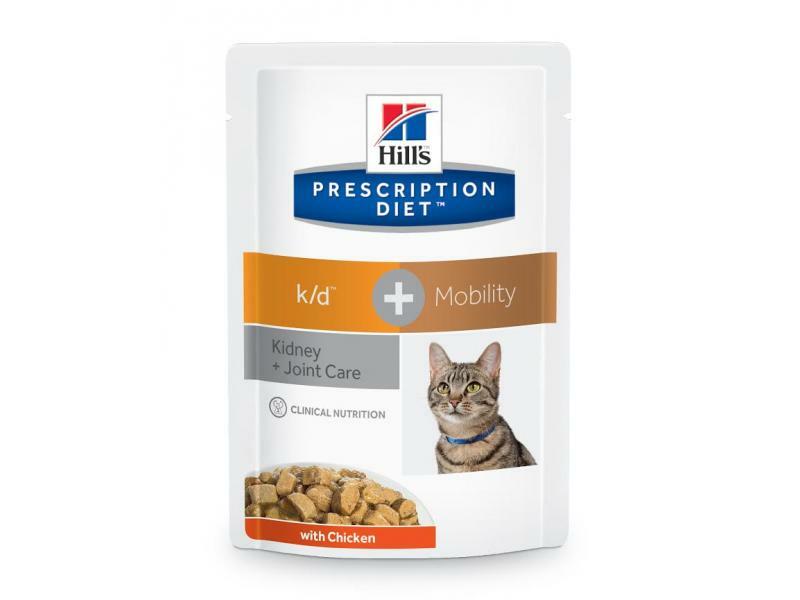 )™ Technology that stimulates appetite of cats with renal conditions, for up to 35% greater caloric intake than other renal foods in the market. 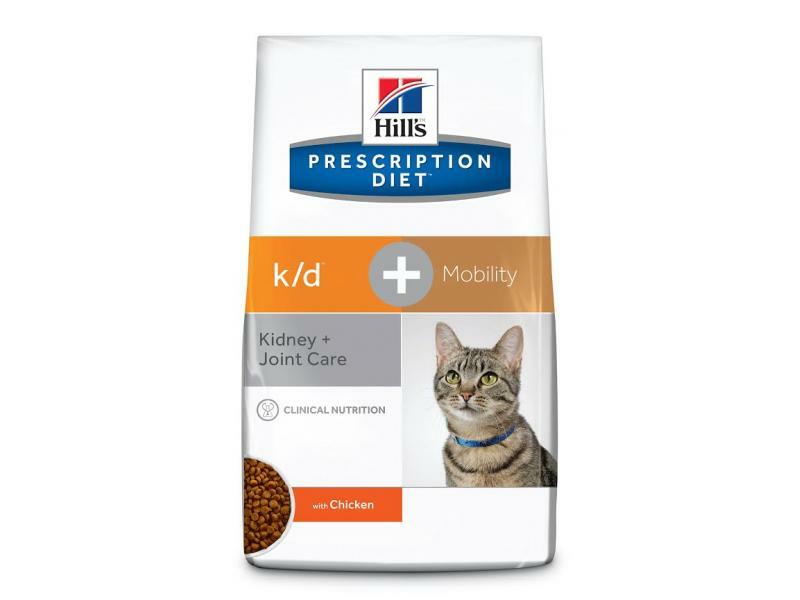 There are currently no questions for Hill's Prescription Diet k/d + Mobility, Kidney + Joint Care with Chicken Cat Food - be the first to ask one!